This is a Butler Creek Steel Lips 10/22 25rd. 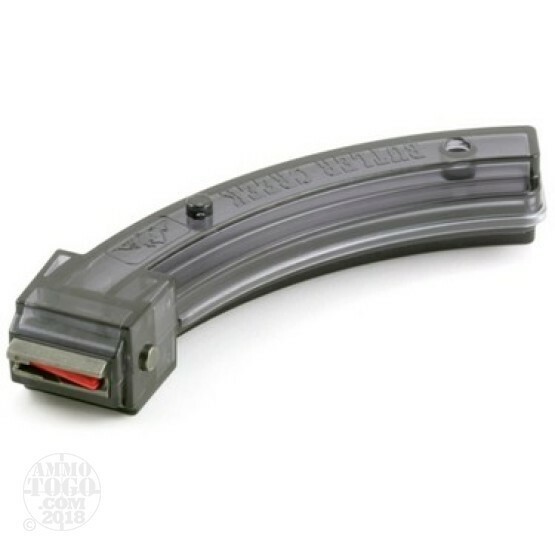 Magazine for 22 Long Rifle Ammo. Butler Creek 10/22 Steel Lips are made from tough smoke colored polymer making them dependable and durable. This mag features steel feeder lips that ensure consistent and reliable feeding. This Butler Creek mag fits Ruger 10/22, Ruger 77/22 and AMT Lighting.